A day after the Maharashtra government announced Rs 1.5 billion relief to onion farmers, BJP's ruling ally Shiv Sena Friday took a dig at the Devendra Fadnavis-led dispensation saying it has "woken up from slumber too late". "Despite spending Rs 1,000 per quintal as input costs to grow onions, the farmers had to sell the kitchen staple at Rs 500 per quintal in the market. The prices further came down to Rs 100-105 per quintal, which is Rs 1-1.50 per kg," the Sena said in an editorial in its mouthpiece 'Saamana'. "Prices of onions had similarly dipped in 2016 and the government had then announced a relief of Rs 100 per quintal. However, there are allegations that the onion growers have not received the money so far. If that is true, the question that arises now is when will the farmers receive the aid of Rs 200," it said. "The government has woken up from slumber very late. Although the decision to provide relief to onion farmers is good, it sould ensure that money is disbursed on time," the Uddhav Thackeray-led party said. Last month, a farmer from Nashik, Sanjay Sathe, had sent Rs 1,064, which he earned after selling 750 kg of his onion crop in a wholesale market, to the Prime Minister's Office (PMO) as a protest. The PMO had later returned the farmer's money order. 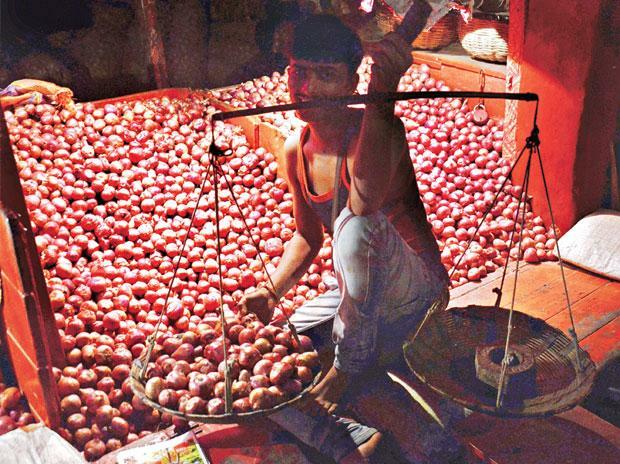 Another farmer from Maharashtra's Ahmednagar district, Shreyas Abhale, had sent a money order of Rs 6 to Chief Minister Devendra Fadnavis as a mark of protest against the crashing prices of onion and the paltry returns.